A throng of people from all walks of life braved the rain to attend the burial of Bishop Elenito Galido of Iligan on Dec. 14. More than a hundred priests from around the southern Philippine region of Mindanao also attended the service for the late prelate. 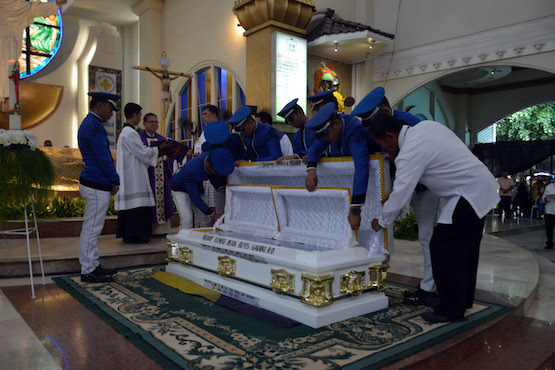 Bishop Galido, who served as prelate of Iligan for the past 11 years, was laid to rest near the altar of Saint Michael's Cathedral in the city. 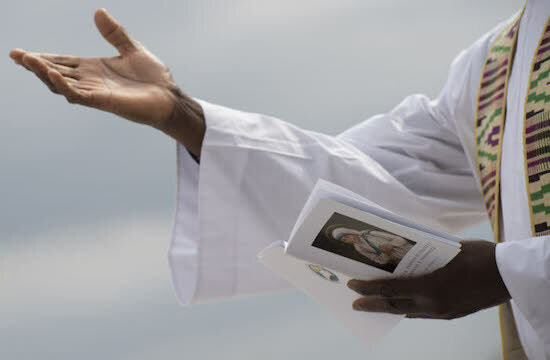 Mourners were full of praise for the late bishop. 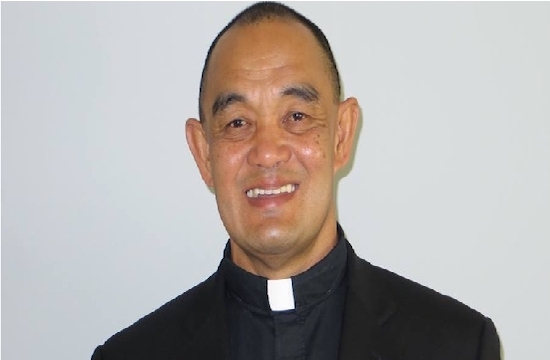 Melvin Anggot, a lay minister, said Bishop Galido seemed not to know how to get angry. "He was very soft-spoken, approachable, and was like a father to many of us," said Anggot. The prelate died due to cirrhosis of the liver on Dec. 5 at the age of 63. He was installed Bishop of Iligan on Sept. 8, 2006. He was the second Mindanao bishop to pass away this year due to illness. Butuan Bishop Juan de dios Pueblos, 74, succumbed to leukemia on Oct. 21. Aside from Bishops Galido and Pueblos, five other elderly Philippine bishops, including Cardinal Ricardo Vidal, the retired Archbishop of Cebu, passed away this year due to illness.